The Bombers took on 2008 grand finalists Morningside in a practice match at Coorparoo and found themselves seven goals behind at halftime. Both teams threw their sides around and the Bombers were much more productive in the second half, bridging the margin to just 18 points at the final siren. Townsville midfielder Andrew Joyce made the most of his first senior game kicking the opening goal from the wing. His attack on the ball and tackeling impressed the coaching staff. Joyce joined the Panthers last year from Hermit Park and is making the most of his opportunities. "It's certainly my goal to break into the seniors". I know i just have to keep working hard and make an impact when i get the chance" said Joyce after the game. Morningside played reigning Joe Grant Medallist Jacob Gough and he was outstanding in the time that he spent on the field, showing he will again be one of the most important players in the Panthersâ premiership assault. Panthers supporters also got their first look at Paul Shelton, who did some nice things in his time on the park. They would also have appreciated the performance of Ryan Holman, who is poised to step up again and become one of the elite players in the competition in 2009. Redland discovered on Saturday night that they still have plenty of work to do but they have found a quality recruit in Anthony Marguccio. Marguccio, a powerful midfielder-forward with five yearsâ experience in the VFL, was his sideâs best player in a pleasing display for the coaching staff. The prolific Phil Carse also looked in great shape after being hampered by injury through the second half of 2008 in another good sign for the Bombers. The Bombers were also delighted with the form of Victorian country recruit Matt Davies, who appears set to challenge strongly for a senior place this winter. Morningside went into the game minus State Captain David Lillico, Grogan Medallist Nathan Kinch and Grand Final players, Hayden Wilson, Brett Connell, Damien Bonney, Nick Clark and Glenn Conroy. 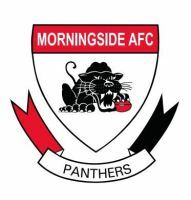 Goals, Morningside: M Logan 3, S Brown 2, A Joyce, P Shelton, S Faure, K Abey, J Gough, S Cole, J Brown. Redland: W Crisea 2, A Mueller 2, J White, J Dixon, A Marguccio, P Carse. Best Morningside: J Gough, R Holman, J Price, B Dawson, M Logan. Redland: A Marguccio, M Davies, M Thompson, P Carse.